In the 22nd century, there are no longer any world wide wars. Instead, small scale wars break out all over the Earth. Meanwhile, a large robot appears who protects the weak. It is called "Dancougar Nova". Some even call it God. However, no one knows the reason for its existence - not even its pilots. Then, another robot, beyond anyone's expectations, reveals itself as the true enemy and begins its attack on the Earth. Dancougar Nova retaliates against this enemy with a power that was kept secret until now. Will Dancougar Nova be able to save the Earth? The prelude to this explosive confrontation rings out. 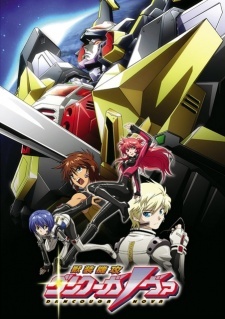 Watch Juusou Kikou Dancougar Nova Episodes Online at Animegg.org. Juusou Kikou Dancougar Nova is available in High Definition only through Animegg.org. Choose an episode below and start watching Juusou Kikou Dancougar Nova in Subbed & Dubbed HD now.